David Broadwell, crafted this Sub-Hilt Fighter. 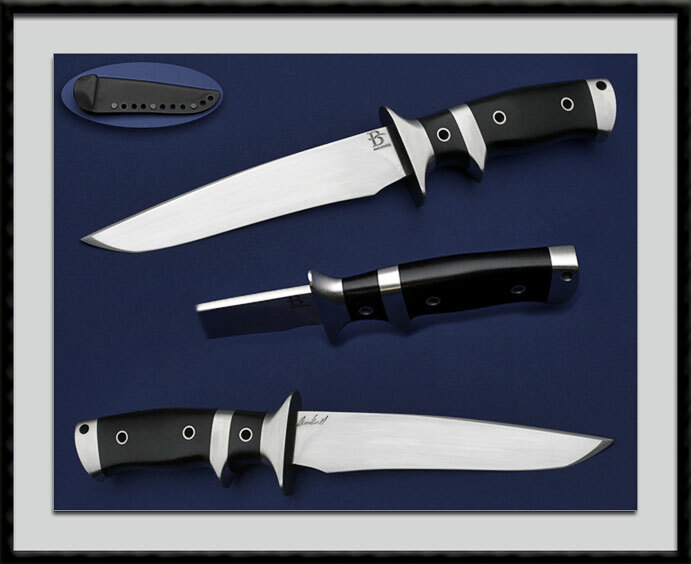 Hand rubbed Satin finished ATS-34 blade, BL = 5 7/8”, OAL = 10 1/4", SS Fittings and a Black linen Micarta handle. Comes with the custom Kydex sheath pictured. Condition is Mint.